Today was Day #3 of Chocolate, Brittle and Bark Theme Week. 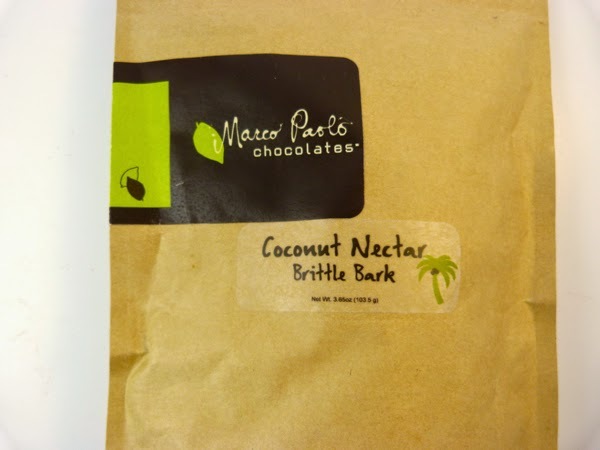 Coconut Nectar makes a delicious syrup base -- and a great brittle as well, as evidenced by this Coconut Nectar Brittle Bark from Marco Paolo Chocolates (Van Nuys, CA/Los Angeles, CA). This confectionary pleasure consisted of thin sheets of buttery toffee made with coconut cream, organic coconut palm sugar, butter, glucose* syrup, flaked coconut, and a 70% dark chocolate coating. Despite three coconut ingredients, the coconut flavor is very subtle and well balanced, as are the textures and other flavors. 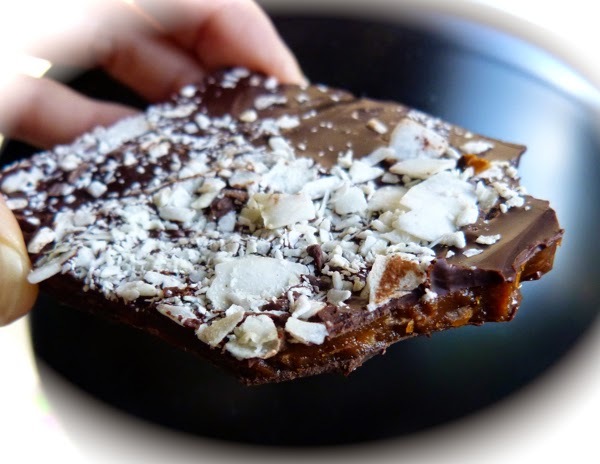 So, even if you think you're not a coconut fan, I recommend trying this coconut nectar brittle bark. *Note: For those watching their gluten intake, glucose syrup may or may not be gluten free.